A lot of people are resistant to change, but Danii Paladino, team leader of accounting services at Caveo Partners, isn’t one of them. After taking eight years out of the accounting world to raise her two children, Danii re-entered the workforce in a reception role at the 5-partner, 35-staff multi-service firm, Caveo Partners. Fast forward 18 months and she found herself in the middle of an accounting practice merger, project managing the migration of two separate databases. Here, Danii talks about how she managed the challenge. It was supposed to be something to dip my toes back in the water. I knew things had changed in the almost a decade I’d been away, so I wanted to ease back into it, spending some time in a low stress, front-of-house job while I re-familiarised myself with accounting practices and software. Then, just two weeks in, the senior administrator for the accounting team suddenly resigned after 13 years, and they asked me to step up. The first time I heard the news about changing to Xero, I went cold from head to toe: I had no idea what was going to be expected of me. 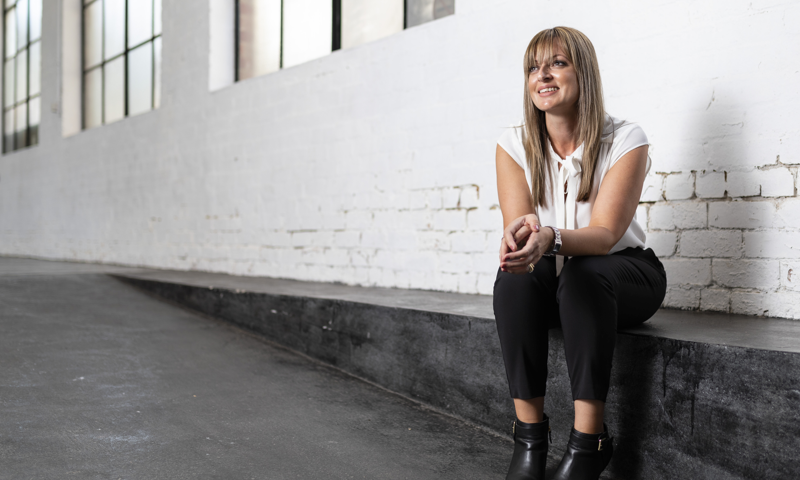 It was only once we started meeting with Business Continuum – the implementation partners we used to assist our migration from MYOB – and Xero that I noticed people were turning to me for answers. It quickly became apparent that I would have quite a lot of involvement in the change. All this started in late 2016. By early 2017 we were meeting with our implementation partner to get the ball rolling. Then, in July, the directors decided to merge our two offices and the teams within the two locations. With so much change happening at the same time, we really had our work cut out. My biggest tip to anyone who’s responsible for implementing and driving forward big changes is to break the job down into smaller steps. Just take one step forward and see what happens, then take another little step forward and see what happens. Before you know it, you’ll be three-quarters of the way there, and when you look at where you started, you’ll be amazed at how much you’ve achieved. Over the past three-and-a-half years, my motto has been to say ‘yes’ to everything and work it out later. If you say no, then nothing is ever going to happen or change; if you say yes, you might fall flat on your face, but you might not – and it might lead you to some really great opportunities and achievements. We want to take our business into the future and to give our clients a really great user experience, so we’re moving away from manual processes and trying to be as paperless, electronic and seamless as possible. We’re now starting to look at what else is out there that can help us become more efficient, more streamlined, more automated, more cloud-based. My colleague and I went to Xerocon for the first time in 2017 and we were in awe for two days. We just couldn’t believe what you could do – it really opened our minds, and it was a great motivator. We came back, made a presentation to our team, and recommended to our directors that they send more people next year. Sometimes you need something significant like Xerocon to motivate those people who aren’t keen on change or cannot see the future – to get them on board and propel your vision. The reduction in administration hours since we made the switch has been amazing. Both being able to send a document immediately out of Xero Tax for electronic signature and turning on automated reminders have been massive timesavers, as has been sending out BAS for signature straight away. There’s no more preparing, printing out and collating cover letters; the information goes out to the client with the push of a button, they sign it, it comes straight back to my inbox, and I lodge it. That’s it. In addition, processing everything electronically gives us an audit trail, which provides a lot of comfort. Sometimes you don’t know you want something until you see it – it’s not even a thought in your head. But when our clients get an electronic engagement letter, or when they see they can use DocuSign to review documents, sign them, and return them to us within half an hour, it’s huge – they love it. After moving to Xero and seeing the world beyond, we developed a new team which specialises in going out to small to medium businesses, scoping out what they do, and presenting them with a way to automate and streamline all their processes using Xero and plug-in apps. We’ve got a lot of small to medium business clients out there and they’re always looking for ways to make their world better. I think if they can see us, their accountant, moving forward with technology and automation, it instills confidence in our ability to advise and facilitate the changes within their businesses. The most practical piece of advice I can offer other firms is to support the person who is your Xero champion, believe in us, and tell us often because we probably need to hear it! We feel the massive pressure of getting it right, and we know what’s at stake if we don’t. Looking back, if I could choose how to do it differently, I would appoint a specialised team to focus solely on the implementation. Even if it was just two people, it would allow them the time and the focus to really drill down, look into the setup and do things right from the start. 1. Stress less and have more faith in yourself. 2. Connect to Xero communities and support groups on Facebook. 3. Get as much training as possible before you go live. 4. Reach out to your Xero account manager – they have an entire network dedicated to helping you on the journey. 5. Remember there’s no one way to do it –it’s about what works for your practice. 6. There’s always a better way! Danii’s story is taken from the new issue of Partner Pages – a magazine of beautifully curated content, written by partners, for partners. Get your free copy at the Roadshow Australia 2019.